We missed blogging for the last legs of our trip out here. 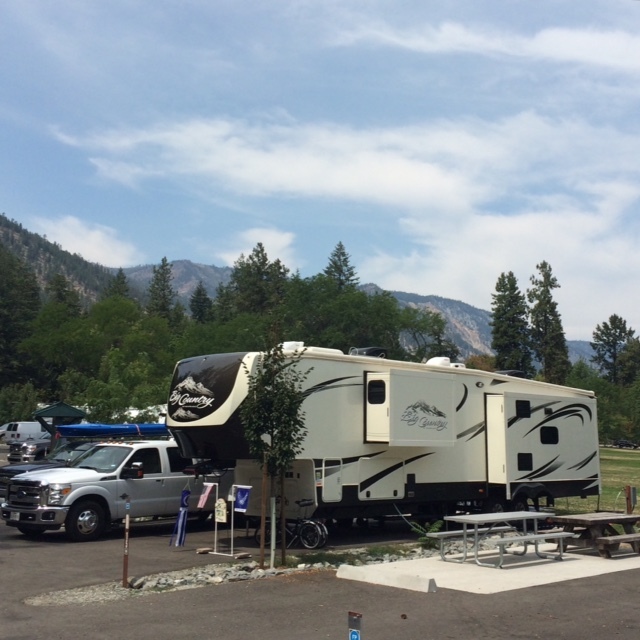 On Saturday, we headed out from Deer Lodge, Montana and drove to Spokane to stay at the Spokane KOA. On Sunday, we hung around the KOA until mid-afternoon because our son, David, was flying in to surprise his sister. We picked him up at the airport, headed back to the KOA, hitched up and rolled on in to Lake Chelan around 8:30 PM. We set up in the fading evening light and surprised our daughter pretty well. Today, we’ve been out swimming and generally having a good time with the family here at the lake. We’ll post more later, including pictures. We’ll be here through Monday.